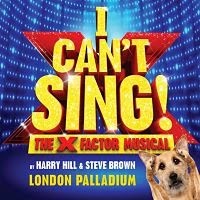 The new X Factor Musical I Can't Sing which opens at the Palladium next February is offering members of the public the chance to appear in it. The musical comedy has been written by by Harry Hill and Steve Brown and stars Nigel Harman as Simon Cowell. The story’s heroine Chenice (played by Cynthia Erivo) stumbles upon a queue of star-struck singers outside the X Factor studio ready to audition. As part of the production’s set the line of hopefuls in the queue will be made up of photographs of the public, selected by the director and designer and appearing in the show at every performance. London photographer Seamus Ryan will take photos of 500 people, from which 250 new West End faces will be selected to appear in the show’s set. 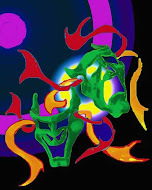 You can sign up at www.icantsingthemusical.co.uk and will be required to be at the London Palladium for the photo shoot on Saturday November 9th between 9:00am and 5.30pm. Entrants must be over 18 and the first 500 people to register will be allocated a more specific time slot.